When I arrived at Canada Blooms at 10 a.m. I did a quick photo shoot with Gabriela Delworth, a wonderful woman who has just produced a new Flower and Leaf Press. My next entry is will cover her new release. Then I spent the rest of the morning video taping the show with my flip camera. This video was only the 4th time that I used my new Sony Vegas Movie Studio editing software, but I think I'm really getting the hang of it. I hope you enjoy it. There are some great still photos available to see online. 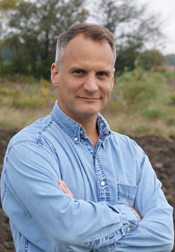 Ian Service and Jules Oille covered the show systematically and completely. Their photos are brilliant. 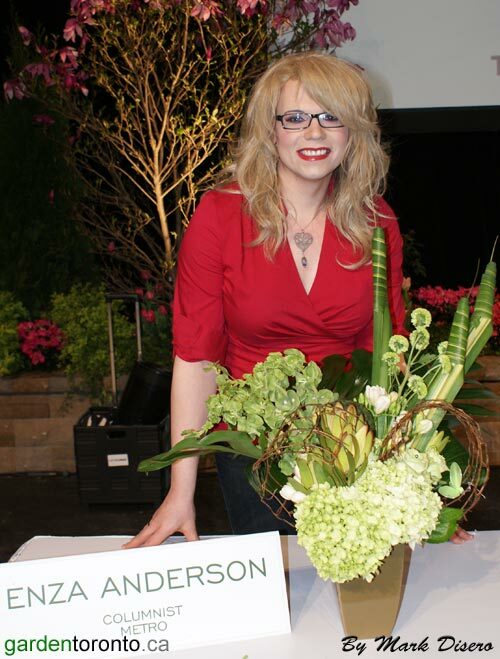 The last part of the show that I photographed was the Celebrity flower arranging contest on the Green For Life Stage. After three years of trying, “Super Model” Enza Anderson is finally the winner! At the end of the day I had the great pleasure to photograph some of the guys who received some of the Landscape Ontario Awards for their work on the show. 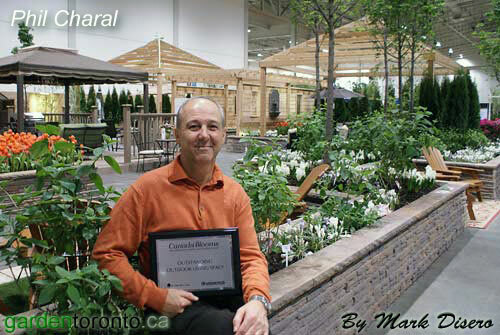 Phil Charal of Allweather Landscape won the Outstanding Outdoor Living Space Presented by Permacon Group for the Home Depot Backyard Oasis. 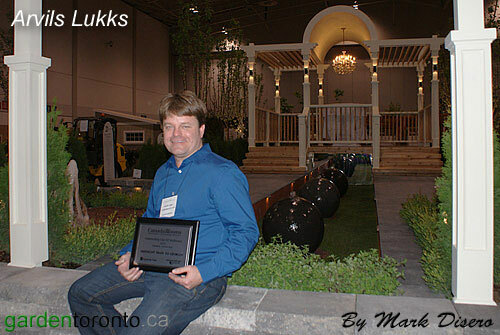 Arvils Lukks of Landscapes by Lucin won the Outstanding use of walkways, presented by Permacon Group, for installation, Midnight Train To Georgia. 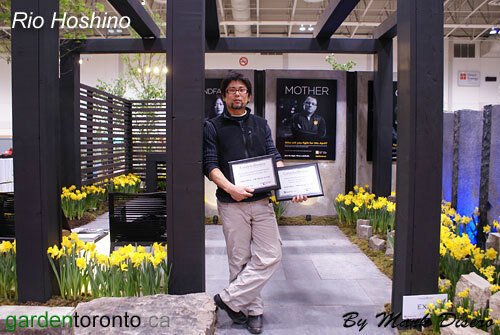 Rio Hoshino of Miyabi Inc won two awards for the Canadian Cancer Society's 'Daffodils - the Fight is On.' The first was for Outstanding Representation of Sponsor Message, presented by Hub Sinclair-Cockburn, and the second is the Garden Club of Toronto award for Best Overall Use of Colour. 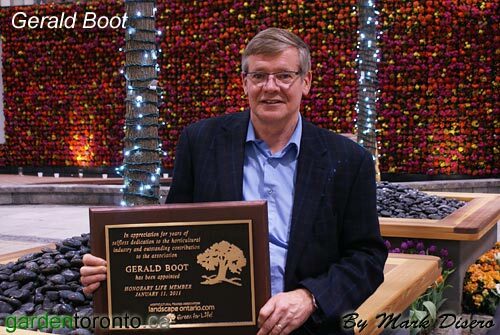 In appreciation of years of selfless dedication to the horticultural industry and outstanding contribution to the association, Gerald Boot was appointed an Honorary Life Member and given a plaque.